Mythology/History: Selenite is a desert born stone and it forms when inland seas, hot springs and clay beds evaporate over time. Selenite is formed through the materials left from these areas as they evaporate. Selenite is a porous stone and will dissolve over time if left in water. Selenite is a form of Gypsum and Gypsum gets its name from the Greek word for moon and roughly translates as ‘Moon Glow’. Selenite is a stone with a vibration of pure peace and calm and helps to defuse any negative energies that are around. Selentine does not hold any negative energy and is also able to cleanse the negative energy and past history from other stones. It is a calming stone that helps to promote a deep and peaceful sleep. 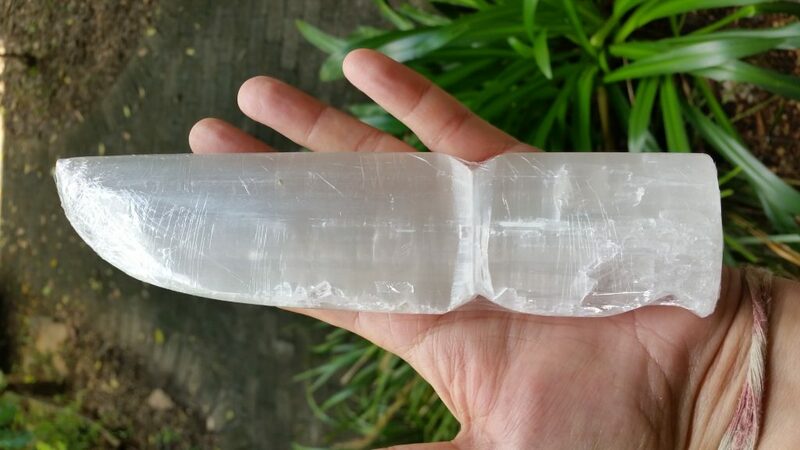 Selenite assists us to work through any blockages that we might have in order give us greater clarity of mind and allow us to access higher self information and understandings. Healing – Stimulates the digestion, spleen, pancreas, increases blood circulation, detox blood and balance the thyroid. Reverse the effects of free radicals within the body. Place your stones or jewelry on a slab of Selenite to cleanse all the stored energy from them. Place under you bed for a peaceful and good nights sleep. 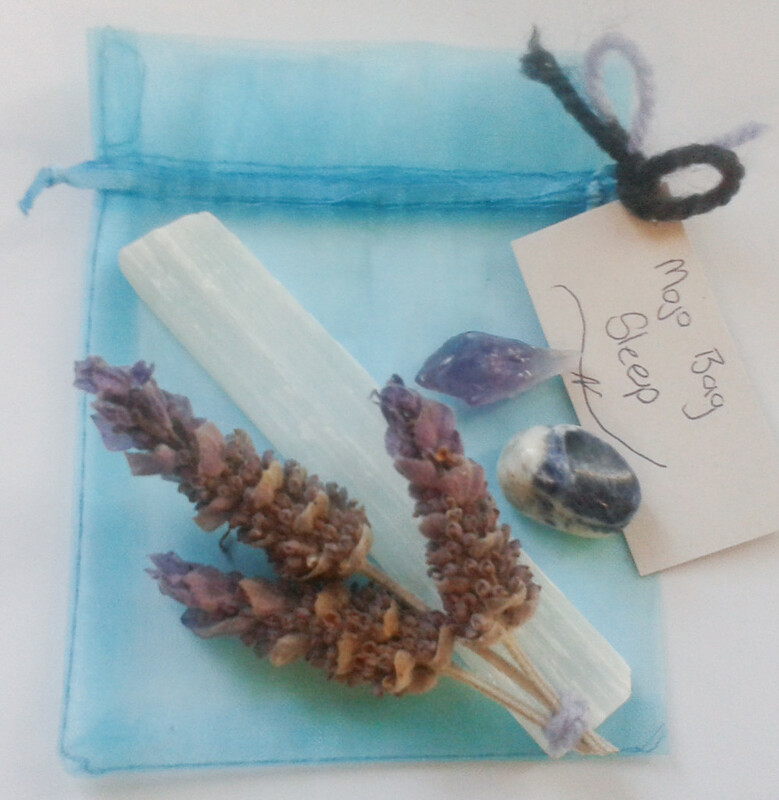 Use a wand during healing to cleanse and heal the persons body and particularly their aura. Meditate with to access higher self information. Place a grid around a room or area in order to block out any negative energies from entering. Selenite can be worn as jewelry, how this is not a common stone to place in jewelry as it is very a very soft stone.